. 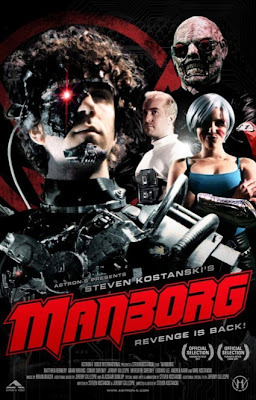 . . but what sort of thing is Manborg (2011)? Well, take a long, hard look at that poster. Did it stir the geeky, adolescent boy in you? Did you just snicker like a twelve year old at the unfortunate semantics of the preceding question? If the answer to either of those questions is "yes", then you probably owe it to yourself to watch Manborg. Created by the five person collective known as Astron 6 (reportedly for a mere $1,000?!? 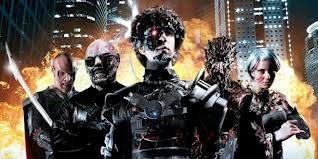 ), Manborg is a loving ode to the sort of earnest, often silly sci-fi action movies that littered video store shelves in the late 80s and early 90s. You'll know whether you're going to love it or loathe within the first five minutes, and you'll only be sacrificing an hour of your time if you choose to commit. I loved it. Adrienne immediately rolled over on the couch and chose to commit instead to an hour long nap. Clearly, this wasn't her sort of thing. 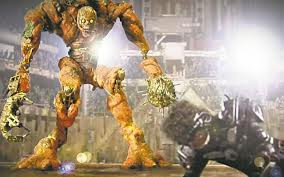 Filled to overflowing with monsters, mayhem, and a mother lode of way cool stop motion animation, every frame of Manborg crackles with the genuine and refreshingly unironic love of its creators for "this sort of thing". I'm not going to get all movie blog critical about it here. If you should see Manborg . . . well, you know who you are. Enjoy. Not for nothing, I just glanced at the clock and realized that composing this post carried me past midnight and straight into my forty-third birthday. Forty-three years of beating my brain to pudding with genre movies has come to this. 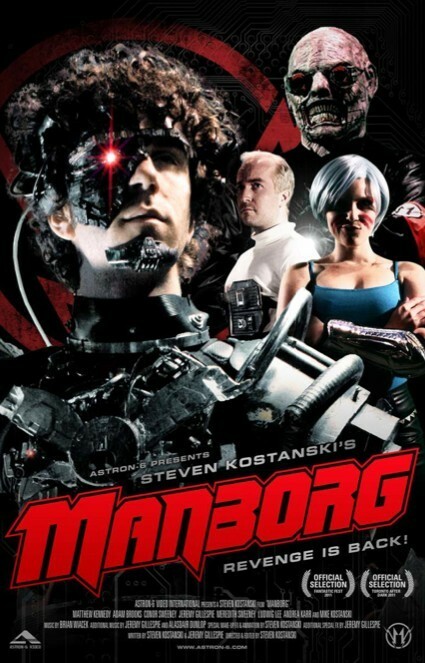 I can still sit down to watch movies like Manborg and be thoroughly entertained. Good. Maybe there's still the heart of youngster beating in my chest after all. Check out the pics below to whet your appetite, then grab yourself a copy of Manborg when it releases on disc April 30.
this is totally one i would like to see.. it's not about budgets. you should track down this crazy green screen adventure "Future World: City of Mass Destruction"